Heaven looking down from 18 floors up. 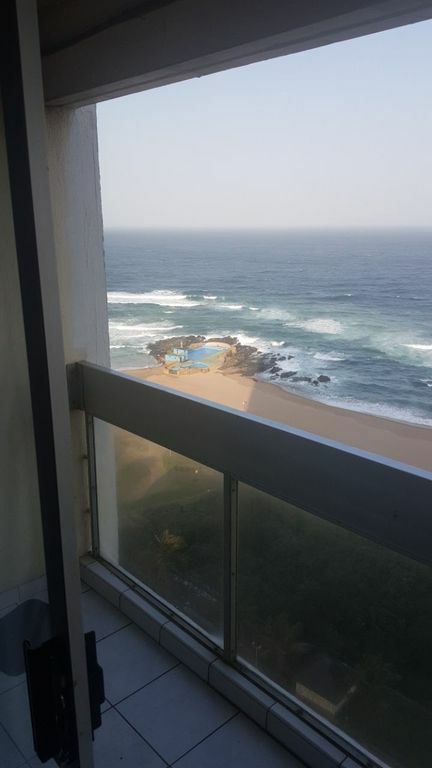 An endless view of the ocean in a spacious two bedroomed unit. Sleeps 8 adults . Fully furnished and self catered facilities. Secure undergroud parking accessed via electronic disk and all shopping amenities close by. A pool, gym, braai/barbeque facility on site and located on the beach promenade. An ensuite an general guest bathroom and fully fitted kitchen with all appliance fitted availability. Easy, convenient and very close to all amenities, as well as easy to locate on GPS or map. Deal strictly with the owner/host directly and no agent or middlemaan to communicate or negotiate with. Rates are very competitive, fair and I am avaible all day to entertain an queries .